Sunshine is such a magical power. It brings lives to everything, including a cup of golden brew – sun tea. Do you remember a beautiful glass pitcher in a beam of sunlight? It’s not only filled with cold, pure water and tea leaves but also our memories. Today, we are going to bring you back to childhood and show you how to make sun tea! Simply put, sun tea or cold brew tea is tea that is brewed using sunlight. It consists of placing loose leaf tea or tea bags into a glass pitcher filled with cold water. 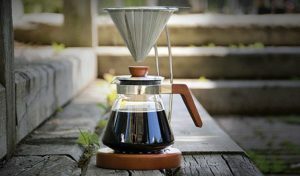 Then you place it in direct sunlight and let it brew for a few hours. Once brewing is complete and the tea has good flavour, pour it over ice and enjoy. Why make sun tea? Avid sun tea lovers claim that the sun speeds up the tea extraction process and produces a different flavour due to brewing at lower temperatures. It’s incredibly easy to make sun tea. Believe it or not, you even don’t need to heat up any water in your kitchen in the summertime. All you need is our RIO Pitcher, your favourite loose-leaf tea, and cold water. Can Cold Water Create Perfect Tea? You might wonder if cold water would reduce the flavour of the tea. Don’t worry! Let us explain why it doesn’t. No matter if water is hot, cold or in between, tea leaves release their flavour once they get wet. As a matter of fact, the majority of people prefer to steep tea in hot water because the flavour comes out faster when it is hot. As a result, a quick release in a short amount of time leads to strong flavour and deep colour. The same thing can also happen in cold water over a long period of time. This slow process in a beam of sunlight gives a unique flavour to sun tea. What loose-leaf tea should you choose? Although the traditional sun tea is made with black tea, you are free to choose whatever loose-leaf tea you like! For instance, use herbal tea to add some fruity flavour to your sun tea might be a good choice for summer. Just remember to be creative when choosing your teas! Check GROSCHE’s loose-leaf teas and choose your favourite. First, place 3 Tbsp. of loose-leaf tea and pour 4 cups of cold water into the pitcher. Then, add ¼ cup of honey to sweeten the tea. When it reaches desired strength, remove it from sunshine and add lemon slices. Put in into the refrigerator or pour it over ice and enjoy your sun tea!